Pull some crazy c3p0 dance moves in this blue festive knit and your fellow droids will love you. If you currently dance like r2d2, then get some practice in first – robot dance moves. 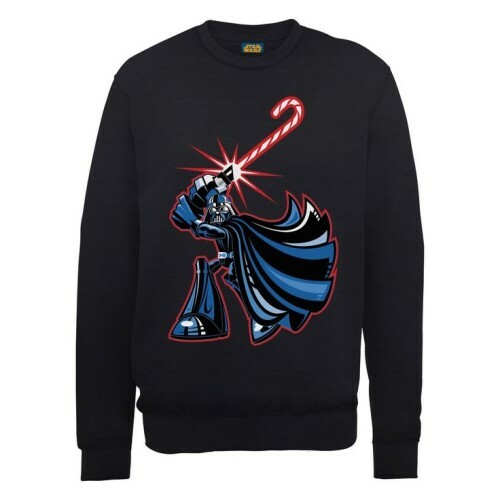 Nothing says Christmas more than a jumper complete with Light saber, snowflakes and a picture of Darth Vader on your chest. Who’s your Daddy? 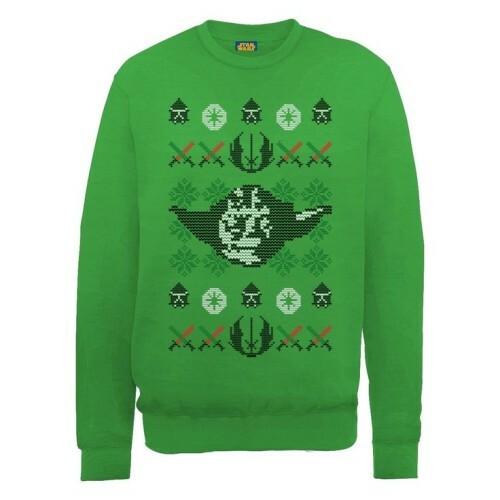 Rock the rebellion alliance Christmas bash in this sweatshirt – Yoda’s head, light sabers and snowflakes. Don’t fancy helping out the good guys? 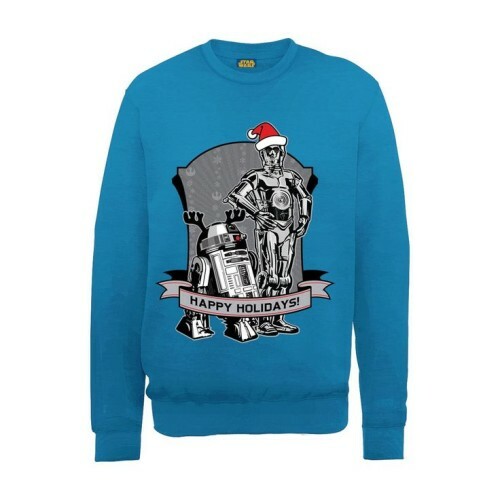 Wake up at Christmas with a dark feeling? 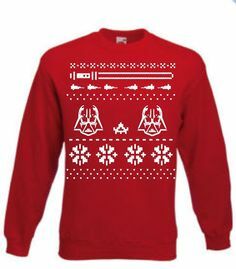 Then use the force to grab yourself this bad guy beauty. 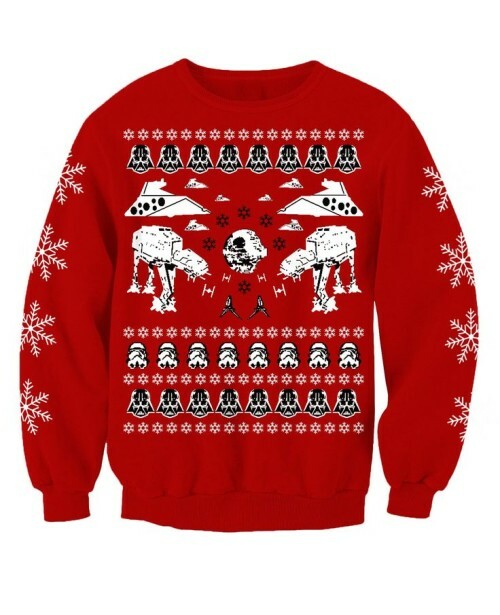 Red with empire detailing.